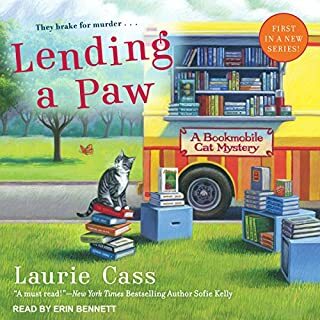 Kathleen Paulson has her hands full in Mayville Heights, Minnesota, running the public library and taking care of her two uncanny cats, Hercules and Owen. Kathleen's good friend Maggie says items are being stolen from the local artists' co-op. She doesn't want to call the police, because the main suspects are all close friends. Luckily, Kathleen and her faithful felines are there to put their paws on the truth! After learning that she comes from a family of witches - and adopting a familiar named Alistair - artist Annabelle Britton has made beautiful Portsmouth, New Hampshire her home. Together, with her coven, this good witch is trying to put a stop to magic and murder most foul. 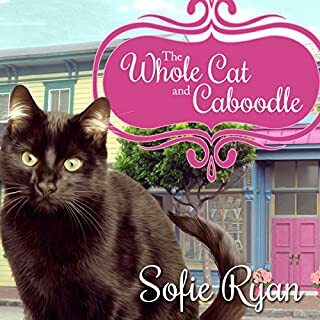 When Anna takes Alistair to see local veterinarian Ramona Forsythe, they meet the most famous cat in town: Ruby the Attitude Cat, spokes-feline for a pet food brand. But then Ramona turns up dead and Ruby goes missing. Unlucky-in-love artist Annabelle Britton decides that a visit to the seaside town of Portsmouth, New Hampshire, is the perfect way to get over her problems. 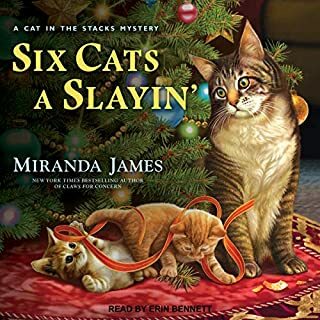 But when she stumbles upon a smoky gray cat named Alastair, and follows him into a charming cottage, Annabelle finds herself in a whole spellbook full of trouble. Suddenly saddled with a witch's wand and a furry familiar, Annabelle soon meets a friendly group of women who use their spells, charms, and potions to keep the people of Portsmouth safe. The arrival of the Janes brothers has the little town of Mayville Heights buzzing. Everyone of a certain age remembers when Victor had an affair with Leo's wife, who then died in a car accident. 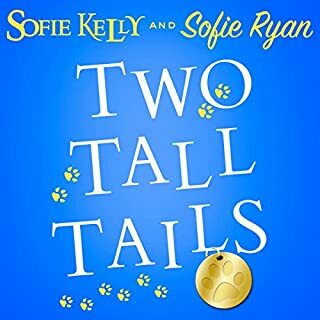 I love all of Sofie Kelly's audio books! Owen and Hercules crack me up! Kudos to Cassandra Campbell. I love all of her narrations! I'm more apt to pick an audio book that she reads over another. A bit weaker than previous stories but still good. there didnt see to be as much comic relief in the one than in the previous ones so it made for a duller story. still a good read. on to the last book in the series.I have enjoyed them all. wish there were more. a great book as always! i always love these books and they always surprise you! 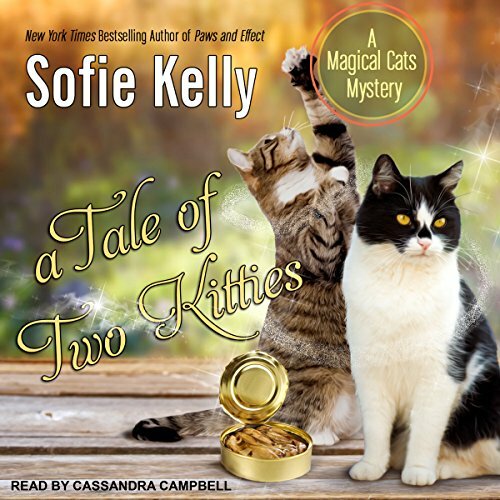 A Tale of Two Kitties is the newest book in the Magical Cats series. Leo James has returned to Mayville Heights to visit his son, Simon, and his granddaughter, Mia. Also returning to town is Victor James, Leo's brother, but his visit is less welcomed. Victor says he is returning because he is dying of cancer and wants one last chance to see his brother and make amends for having an affair with Leo's wife, Meredith, and stealing her away. Kathleen meets Victor on a walk and has her questions about Victor and his motives, something just isn't right with him. 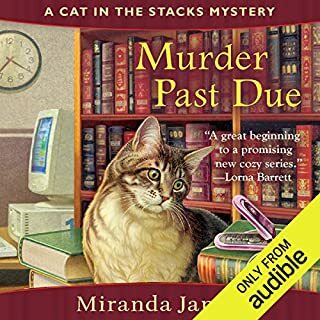 A murder and little things about the evidence and the magical cats, Owen and Hercules, are on the case. There are new questions about why Meredith left town with Victor and how she died in a one car crash. Who is the killer and how can Kathleen, Owen and Hercules prove it? Not everything is as it seems. As the questions are being answered, who is going to save Kathleen and Mia when the killer decides to prevent Kathleen from solving the mystery. 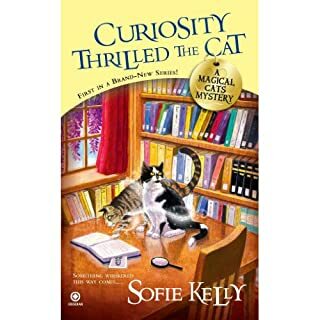 As always, Sofia Kelly has written a well crafted story with well drawn characters. The story and characters are so realistic that the listener/ reader is easily drawn into the story. Instead of trying to out think Kelly and discover the villian, it's easy to just enjoy let the story and let it unfold. Also, Hercules and Owen are a great addition and I can't wait to see what happens with Mica. she had me going to the end ... again. I recommend it whole hearredly without hesitation. Even if you figure out the killer, getting to the reveal is fun. Always find a twist. Kathleen always ends up in a life threatening incident. Sit back and enjoy.